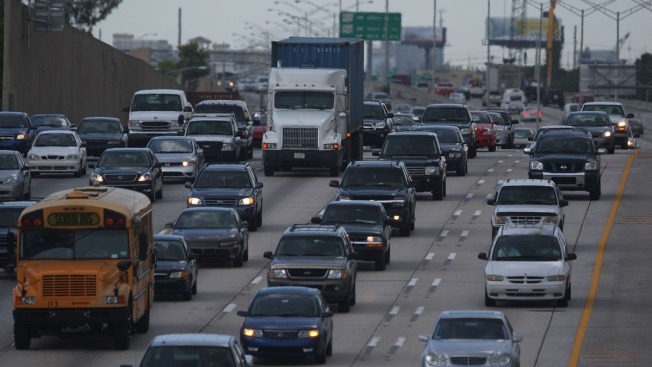 In this July 11, 2007, file photo, cars and trucks drive down Interstate 95 in Miami, Florida. The number of people killed on U.S. roads fell slightly in the first half of 2018, but a top safety organization says it's likely that there will be little change in the number of deaths from 2017 by the end of the year. The council's fatality estimates differ slightly from those of the National Highway Traffic Safety Administration. The government counts only deaths that occur on public roads, while the council includes fatalities that occur in parking lots, driveways and private roads.